With so many cell phone repair near me stores to choose from it can be hard to pick and choose. Having an expert fix your phone is best because you want them to fix it fast because you cannot stand being without your phone. Make sure your choosing a great repair shop because some use those cheap chinese aftermarket parts and some use the oem manufacturer products. You need to find the ones using oem quality parts. You do not want to have a 1000 dollar smartphone and have a cheap lcd on it. It can really take away the experience of the phone. There are some options were you can send the phone into the manufacturer or to your insurance company as well so you should check to see if this option is available first because it will not cost you anything except if you have a deductible which is common on the more expensive phones. 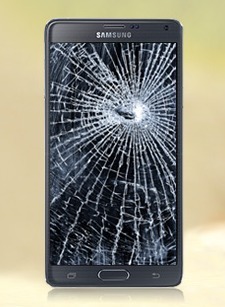 Cracked LCD is probably the number one repair that has to get done for a cell phone repair. I know I have dropped and cracked my fair share of screens and this can be replaced at your local repair shop pretty easily. Water damage is not covered by your warranty so the only way your covered for this would be if you have insurance and there still might be a deductible so I would check first. If not cell phone repair shops can fix this. They will probably have to take your phone a part and see what got wet and if it is repairable and to give you an estimate. There is an indicator on most phones to tell if you have water damage. No sound from speaker is a big problem. Sometimes you have to put your smartphone on speaker to hear because the other method you cannot hear your callers. This is a pretty basic fix and should not take long to get this done. Bad battery is a common problem. If your charger is not charging your phone at all or if your battery does not last to long than you should get it replaced. This can be covered by your manufacturer warranty sometimes. Warranty: Make sure the shop offers a great warranty because when you get your phone repaired sometimes the lcd or problem will come back. You do not want to have to pay again for something you just fixed. Timeframe: See if they can fix it right away. You probably need your phone at all times in case the kids call, school calls or work. See if the fix is gonna take a while and if they have a loner phone then you have nothing to worry about. Reviews: I would look online to see what customers have experienced when going to these cell phone repair centers. Sometimes they use cheap parts and customers will let you know through online reviews that they do so. When I am looking for a phone repair nearest me the first thing I do is check reviews. 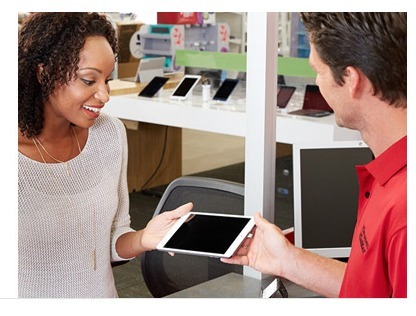 That way I know the cell phone repair shops near me that have the best customer experience and the best techs. Backup your cellphone data. The repair shop will not be responsible for all those pictures and business items you have on your phone. If you can I would backup the data for your iphone or samsung phone so when it is repaired you can sync it back to the phone. You do not want to lose all that data. If you have apple or samsung pay on the phone you should turn that off. You dont want anybody getting your credit card data. Check prices at the cell phone repair stores. The price can vary greatly so you want to make sure your getting the best deal. Check if there are any local cell phone repair shops so you do not have to ship in your phone and be without out for a few days. The first thing to do before going to get a repair on your phone is check to make sure you did not already have existing phone insurance. If you do then they might have you just send the phone into them for repair. There might be a deductible but it will be far smaller amount then fixing it yourself. First lets take a look at what some of the prices for the parts you might need to fix your phone and also take a look at how hard it might be to fix the device yourself. As you can see in the youtube video it can be really hard to fix some parts on that phone. You can actually end up breaking more stuff and making your phone useless at the same time. I think it is best to take your phone to a repair shop to get fixed. The price of the cellphone parts can be a lot cheaper than what you pay at the repair store but it can get complicated to fix and is probably worth the extra money. Just the hassle might not be worth it for most people. You also need the tools to do the job correctly and that is an added expense as well. Ubreakifixit is really customer focused. They also use the highest quality parts available which is probably the most important thing when getting your phone fixed. The parts you purchase on amazon or ebay can sometimes be cheap knockoffs and you want to make sure your getting a quality part and you will at this repair center. I had my s5 fixed in ny at one of there locations and the lcd was as good as the original one. I could not tell the difference what is what you want. If you have a cheap knockoff china part you really can tell how terrible the quality is. It will not work as a touch screen should. Just take a step into there stores and you will see how button upped they are. Really nice waiting space and friendly service. One of the best things about doing business with office depot is the fact that they have so many locations around the usa. You can find a place to repair your iphone fast and also whats cool is if you happen to have a problem with your phone and your not by the original place that fixed it you can go to a different location and get it looked at. So if your on vacation you should be around an office depot still. They also offer this same-day repair services, guaranteed† which is hard to pass up. Not all the places offer this and having your smartphone back fast is important. The price is great as well as you can fix your iphone screen and digitizer for 99.99 with one year warranty. Icracked has over 5000 techs ready to fix your phone. I love there business model because they will actually have the rapair person come to meet you wherever is conveint for you kind of like the glass companies for cars do. They will also fix it right on the spot were you meet them so there will not be a lot of downtime for your smartphone. The will repair your lg, samsung or iphone with a lifetime warranty so no worries on your part. Cannot really beat that. They don’t allow just any tech. The give them multiple interviews and background checks. They also have to get certification so you know your phone will get fixed properly. 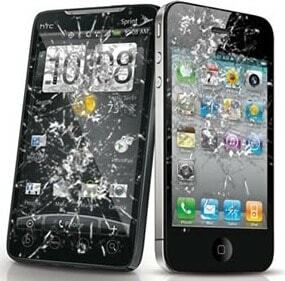 Cell phone repair center offers same day repairs. They also use the highest quality parts we found online through some customer reviews. That will give you some comfort when going in here for a repair. The also offer onsite assesment of your device so you do not have send it in for repair and you will not be without your smartphone for to long. The best thing about this repair center is they fix just about every brand name you can think of. They also have the largest selection of batteries so not only can you get your phone fixed here but you can get any batteries you need as well and basically shop while you wait for your repair. If you need a golf cart battery or a car battery they have it in stock at there many locations so more than just a fixit place. I think the most important thing when going to get a cell phone repaired is to check out the warranty. I would not purchase this service unless the warranty was at least one year. Cpr cell phone repair gives you a lifetime warranty so that really can ease any concerns you have with this company. As long as you do not drop and crack your phone or do something like water damage your covered as long as you have the phone. They have a lot of locations as well so you can tell this is a great brand and not just a fly by the night business. If you take a look at there reviews online they seem to have really great service by what the customers are stating. I always check for stuff like that before doing business. The few bad reviews are mostly customers who are just crazy anyway. Cell phone repair cpr store will let you know your options and get your phone fixed fast. With geek squad all the parts are sourced directly from apple or samsung. What this means is your gonna get the highest quality parts you can. When your getting the parts from the manufacturer your getting the exact same parts that came with your phone. So you know the phone experience will still be the best even after repairs. 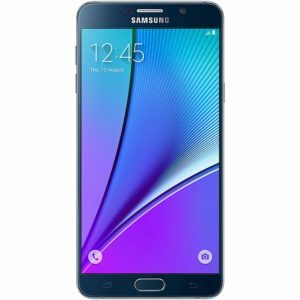 Best buy is an authorized samsung service provider and also an apple authorized service provider so your repairs are backed by the best cell phone companies in the world. Geeks squad also had the cheapest phone screen repair near me so you might want to check with them first. The best place to look first is at google search box. This has the best information you can find on anything and all things phone repairs. Right when you put in cell phone repair in google you will see the first few slots are repair stores and there most likely close ones to your house. You can also check out yellowpages for local repair facilities. Sometimes when your drop your phone and have insurance on it then you will not need to get it repaired. You can check with your manufacturer to see if there is a valid warranty on your phone still or if they cover the problem your having with your phone.